These moon jellyfish create an eerie display in the Australasia Pavilion at the Toronto Zoo. Look in a dictionary and count the number of pages devoted to the letters J, Z, Q, and X. Why are there so few prefixes and suffixes starting with the letter J? Look on the Internet for a description of the juvenile stage of jellyfish. The jackal is a species of wild dog found in Africa and is rather similar to the North American coyote. 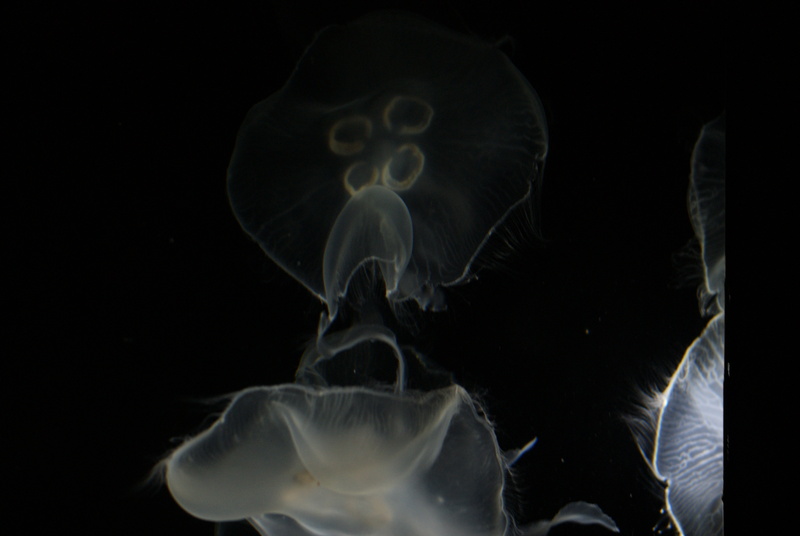 The moon jellyfish, pictured, is the adult or medusa stage of Aurelia aurita.